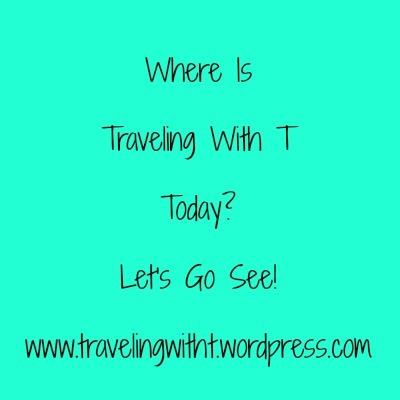 Where is Traveling With T? Hey lovelies… every time I post this type of topic I find myself humming “Where in The World is Carmen Sandiego?” (BTW, that trench coat she wore with the artistically placed hat on her head- FASHION sense. #Envious) But enough about me and my envy of a cartoon-ish character’s wardrobe…. Traveling With T has hit the road… Well, the road of the internets, that is. Yes- been burning up the road the past 2 days- and I want you, my readers, to know where I’ve been- and to able to read my guest posts- and give my hosts some love! My first guest post was at Book Bloggers International- where I was raving about the wonderfulness of the fabulous Nancy Drew. No matter which Nancy you read- you gotta admit that she was pioneer for women detectives- and an icon that you should introduce the next generation to! Read all about my major love for the fancy Ms. Drew- and let me know what you think! Why Nancy Drew Rocks is my most recent nostalgia fan-girling! Thanks for sharing your story with us! I loved both posts, I wasn’t an avid reader as a kid but I loved Nancy Drew! So excited for you T! ❤ Oh…and I loved Carmen Sandiego! I remember the Where in Time is Carmen Sandiego game and I was kind of addicted to it. Loved your guest posts, T! You rock! !